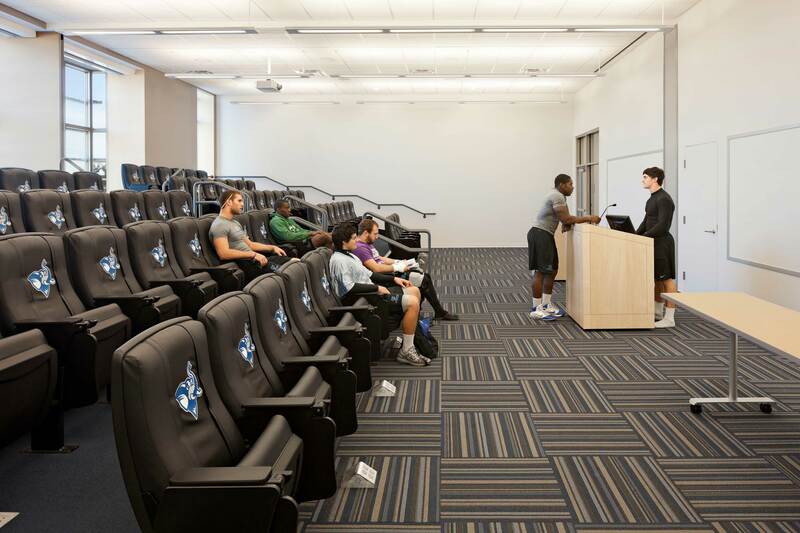 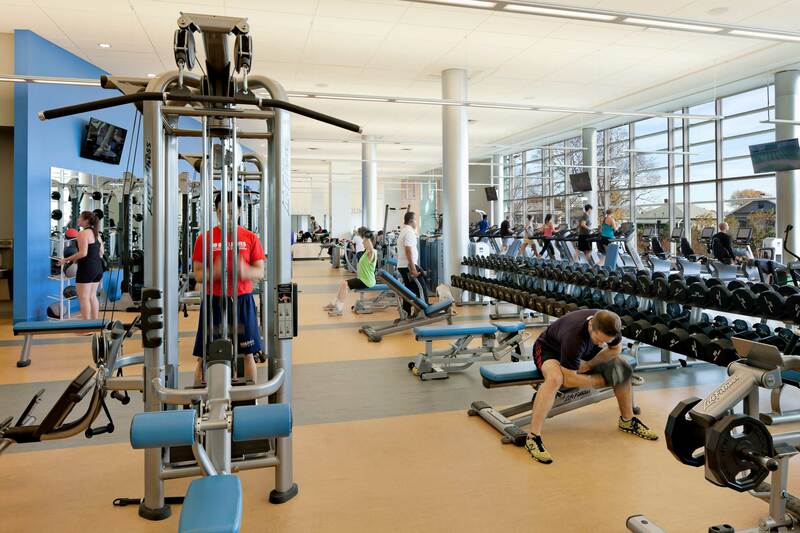 An expansion and modernization of the outdated fitness facility, the new Sports and Fitness Center offers a new state of the art fitness center, incorporating sports medicine, multipurpose rooms, locker rooms, classroom/conferencing, and a new consolidated coaches suite with offices and support space. 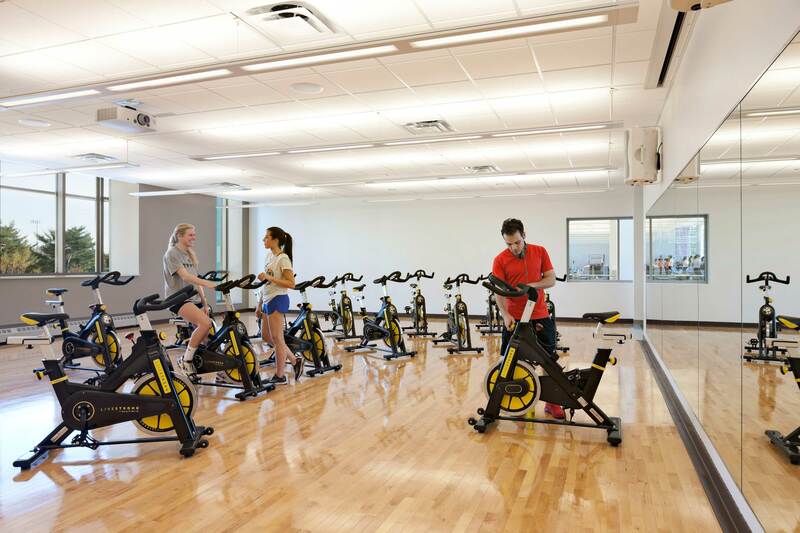 The new sports and fitness wing also serves as the new main entry point to the entire athletic complex consisting of the Cousens Gymnasium, Gantcher Center, Ames Fitness Center, and Hamilton Pool. 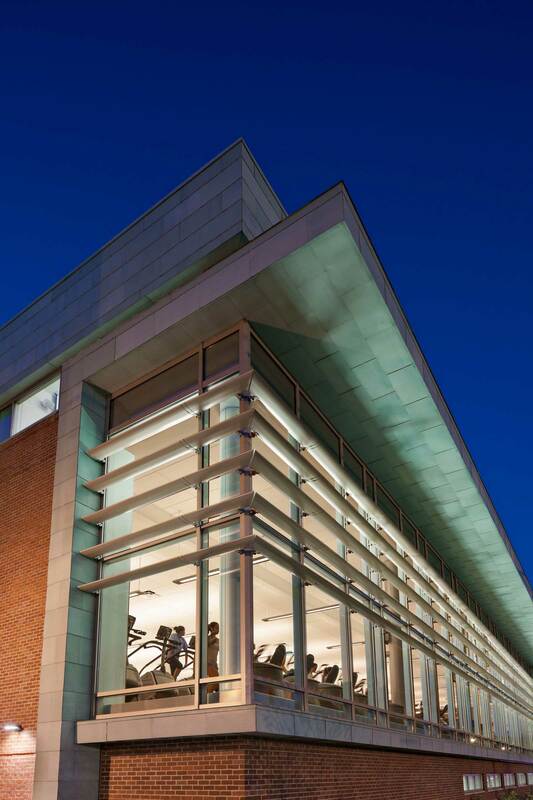 The design challenge of the new building was the site constraints, as this new expansion needed to nestle itself among three existing buildings with four different floor levels. 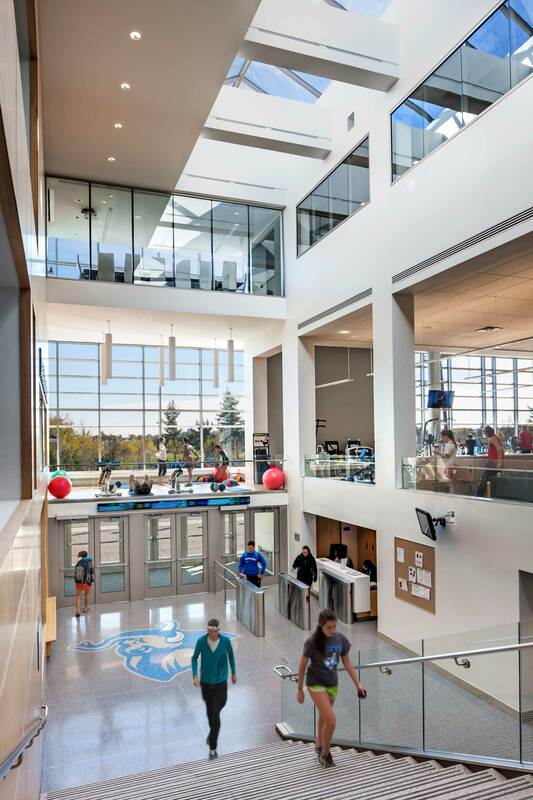 The new entrance features a three-story atrium space, from which visitors can travel to the various adjacent facilities. 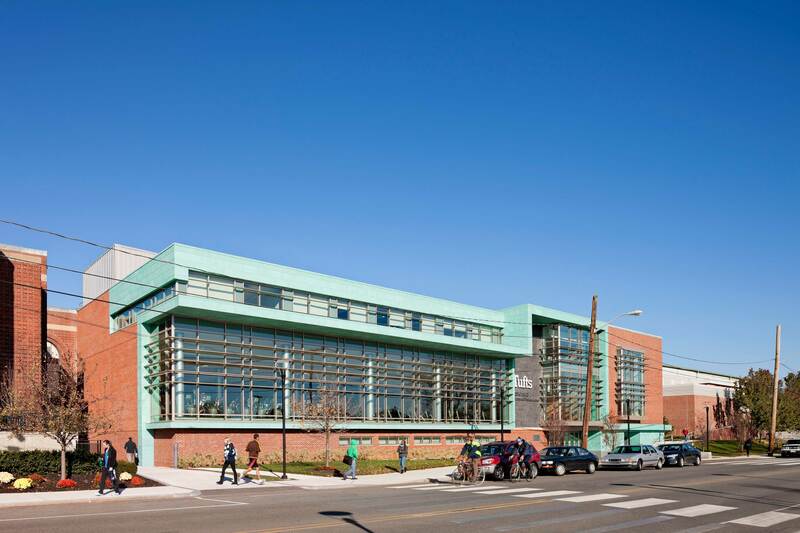 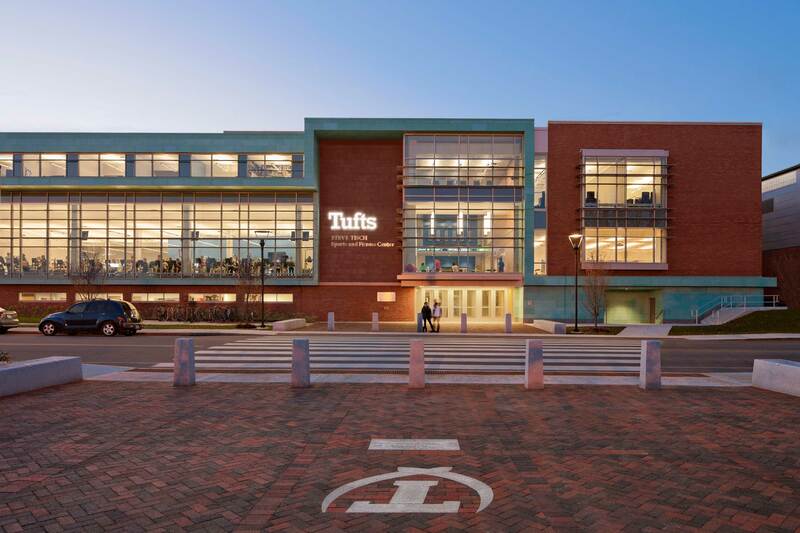 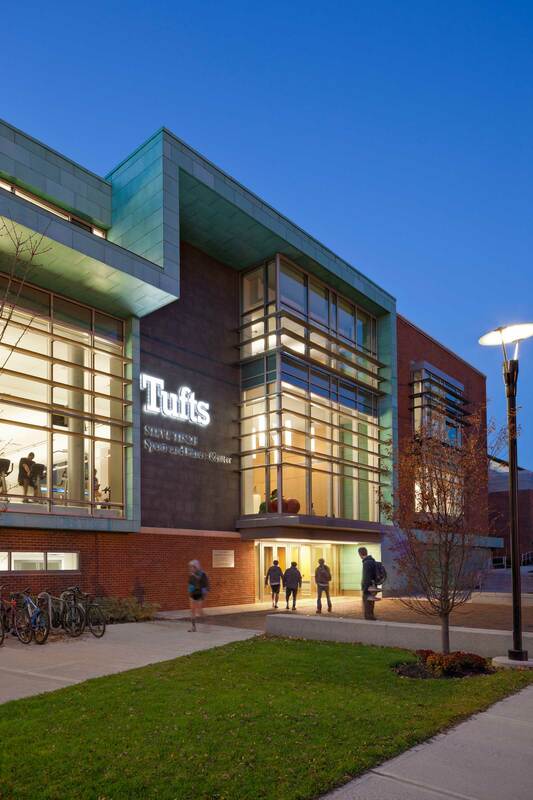 The new glass and pre-patinated copper façade breaks from the typical New England Georgian architecture, introducing a unique modern expression that provides Tufts with an iconic building for its Athletic Department. 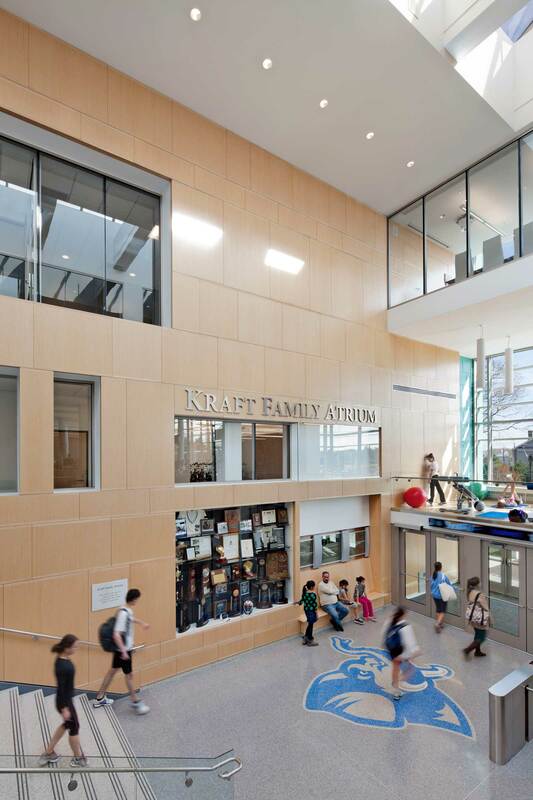 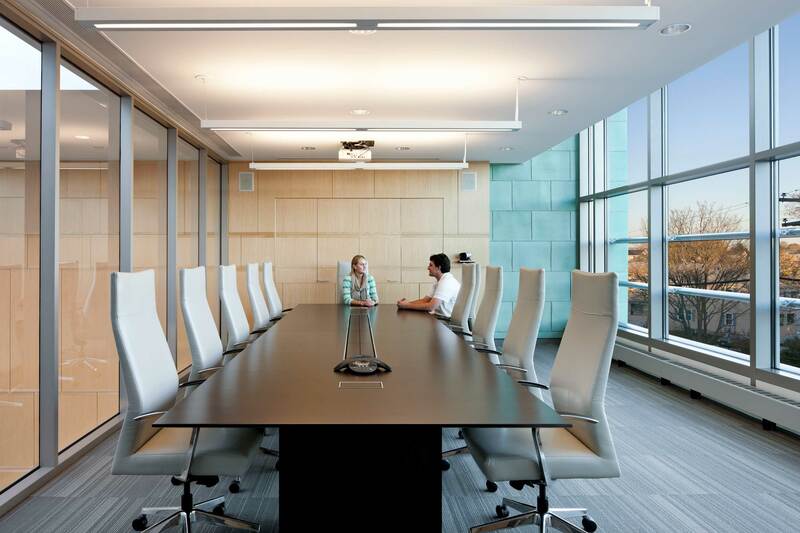 DiMella Shaffer completed this project under a design-build contract with Stanmar, Inc.